"I'm gonna do everything humanly possible to get it done." That was Governor Jerry Brown's vow to the state's water managers on Wednesday, asking for both their patience and their support. 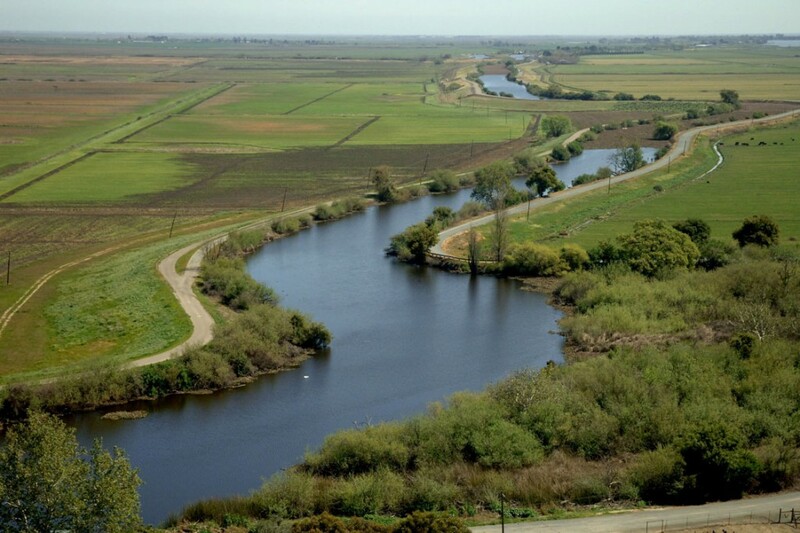 He was referring, of course, to his ambitious proposal for tunnels to bypass the environmentally beleaguered Sacramento-San Joaquin Delta, switching yard for the biggest portion of California's water supply. "We're gonna have a reliable water supply. We're gonna build a big project. We've got the federal government moving along with us," declared the Governor. The last remark may have been partially a reference to the agreement his administration signed Wednesday with federal agencies to set a formal deadline of October 1, for release of a draft version of the long-awaited Bay Delta Conservation Plan. 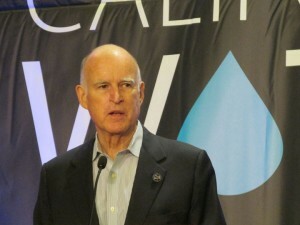 Brown made the comments during a brief, surprise appearance at the spring conference of the Association of Californian Water Agencies (ACWA) in Sacramento, which continues through the week. "I just came by to tell you, we're working on it," he told a large luncheon gathering at the Sheraton ballroom, about a block from the Capitol. Explicitly exempting his predecessor, Arnold Schwarzenegger, Brown added that, where the Delta's concerned, "there was a little bit of a drought in leadership for several governors. By the quirks of history, I've come back after 28 years." Brown reflected that after the defeat of his own previous Delta conveyance proposal in a statewide referendum during his last term as governor, "it took several decades before people could really re-engage in this process and get something done." "I didn't come back here just to goof off. I like doing real things. I like doing big things... (But) 30 years ago, things were simpler." At moments, Brown spoke like a determined Don Quixote, tilting at the complexities of modern governance. "We're gonna do everything. We're gonna fix the fish, we're gonna fix the levees...the salt's gonna go out to the sea, and the water's gonna flow and everything's gonna work. But it takes a lot. It takes billions of dollars, it takes a lot of work." "The governor's new Oct. 1 deadline is an attempt to thread the needle between pressure from the water-takers, who are threatening to stop paying for the BDCP, and the delay he faces because the science stubbornly still shows his tunnels would kill the Delta." Rather than relying on "bonds and these other complexities that take votes," Brown said he would rely on laws passed during his father's administration that gave broad powers to the state Department of Water Resources. "I didn't come back here just to goof off. I like doing real things. I like doing big things." But, he lamented, "30 years ago, things were simpler."